Using Dual Concentric drive units (ie. 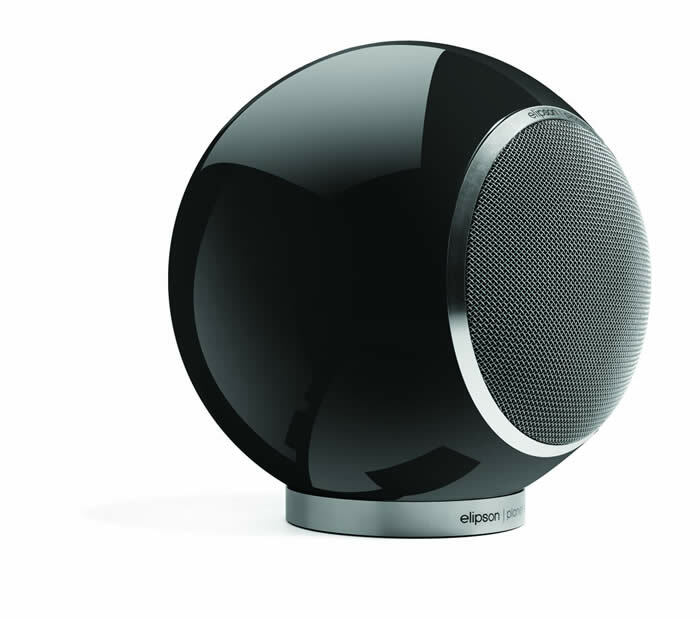 the tweeter is in the middle of the main bass/midrange unit) these funky looking Elipson speakers actually sound great as well. They can be used as ceiling speakers for a multi-room music system, front or rear channels in a 5.1 surround system or simple table top mounted Stereo system. A demonstration is a must! Available in Black, White or Red. These speakers sound as good as they look. 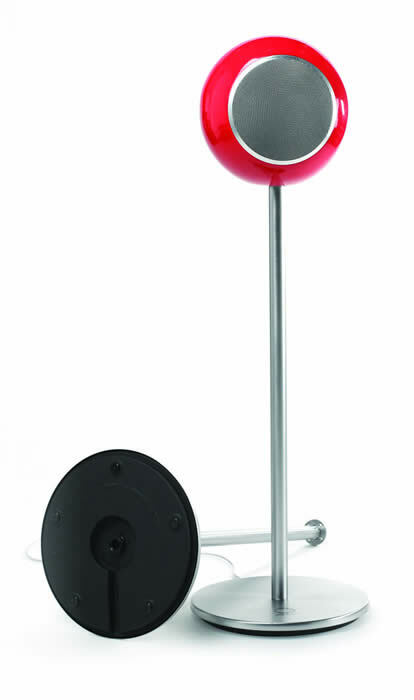 They are larger than most other spherical speakers ( See Anthony Gallo) and so produce a fuller sound without requiring a sub woofer. The dual concentric design helps to keep the sound together, and the shape means they don’t suffer from any “boxy” resonances. 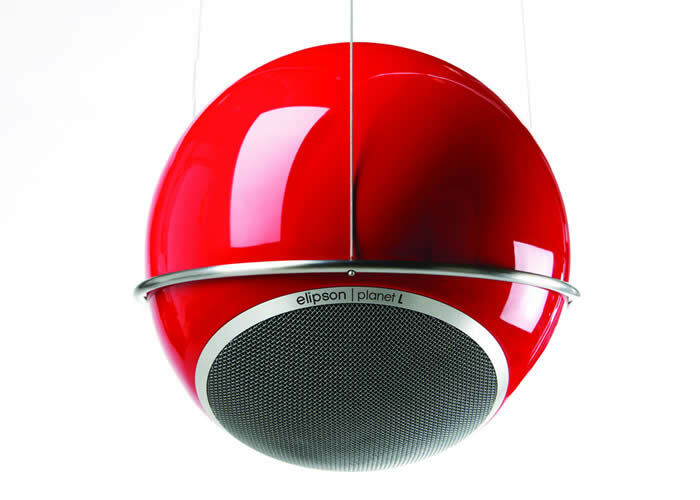 We think these are the perfect speaker for footballers – as long as they’re not tempted to use them to practice on.